transitional style fits in any bathroom perfectly. 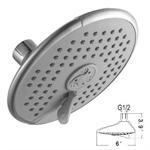 ANTI-CLOG NOZZLES: Easy to rub clean / Lime & mineral deposit resistant. 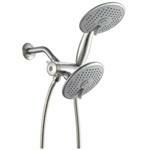 Easily remove calcium and mineral deposits by pushing nozzles with water on. 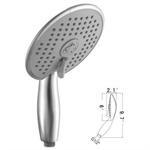 MODERN SUPER WIDE SPRAY FACE with ERGONOMIC HANDLE: 6 inch wide to provide rainfall spa experience! It’s so relaxing that you won’t want to get out of the shower! 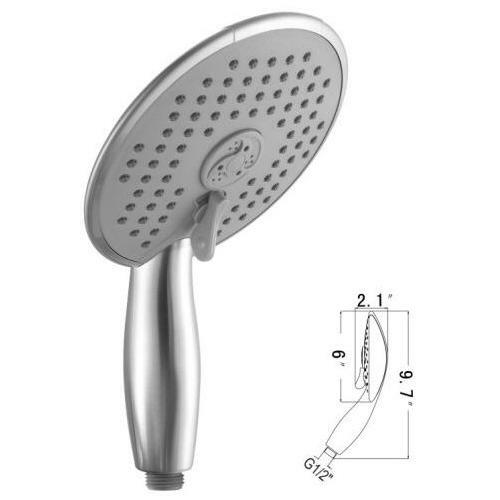 Our handheld shower fits your hand comfortably. Transitional style that fits in your bathroom design perfectly! 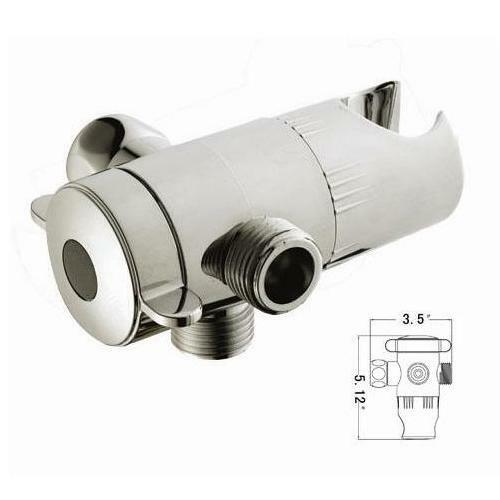 LARGE DIVERTER with BRASS CONNECTOR: Wider than industry standard for sleeker look (no more cramming look)! 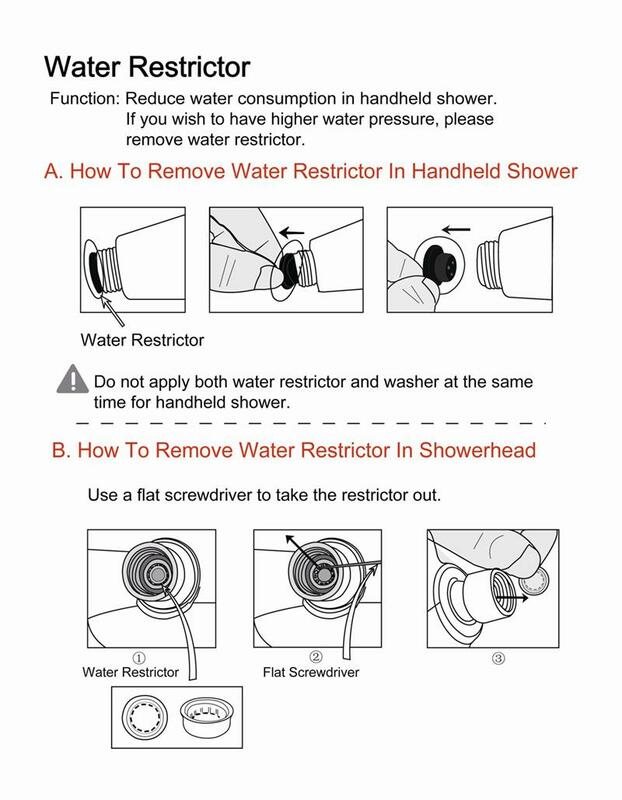 Turn water to Handheld Shower, Stationary Showerhead, or Both. Shower together or separately. Metal connector provides better durability. 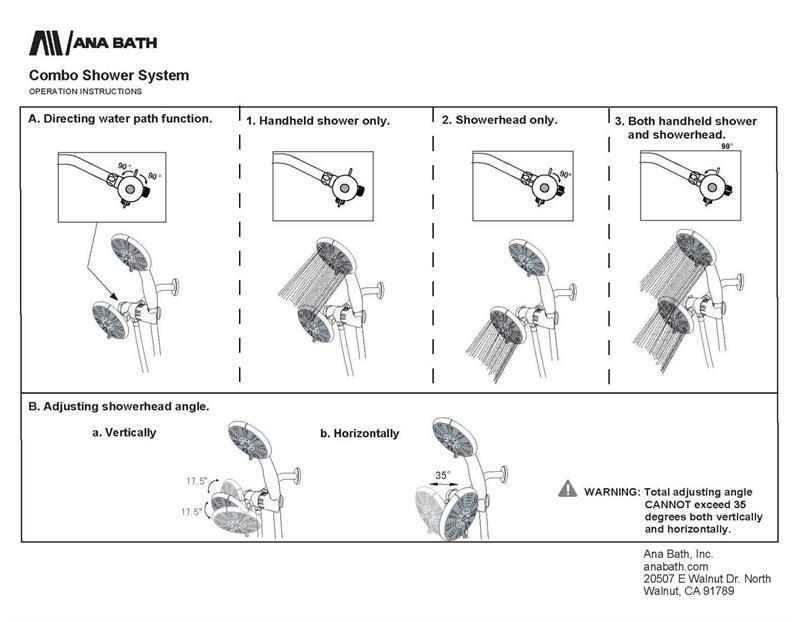 3 FUNCTION SHOWER HEADS with BRASS BALL JOINT: Switch between 3 functions for different shower experiences. Including Rain Spray / Massage Spray / Massage & Rain Mix. Brass ball joint provides durability. BRUSHED NICKEL FINISH: All parts are electroplated with same finish, especially the metal hose. 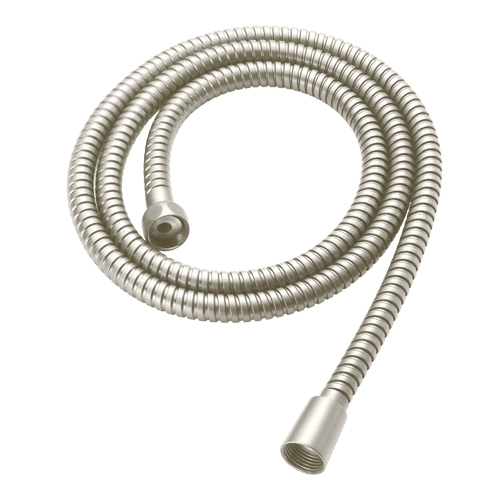 Unlike most metal hoses in the market using POLISH procedure, Ana Bath metal hose are COATED with the same finish. 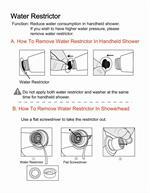 EASY INSTALLATION: No need to call a plumber. It fits any standard shower arm. You can do it yourself. 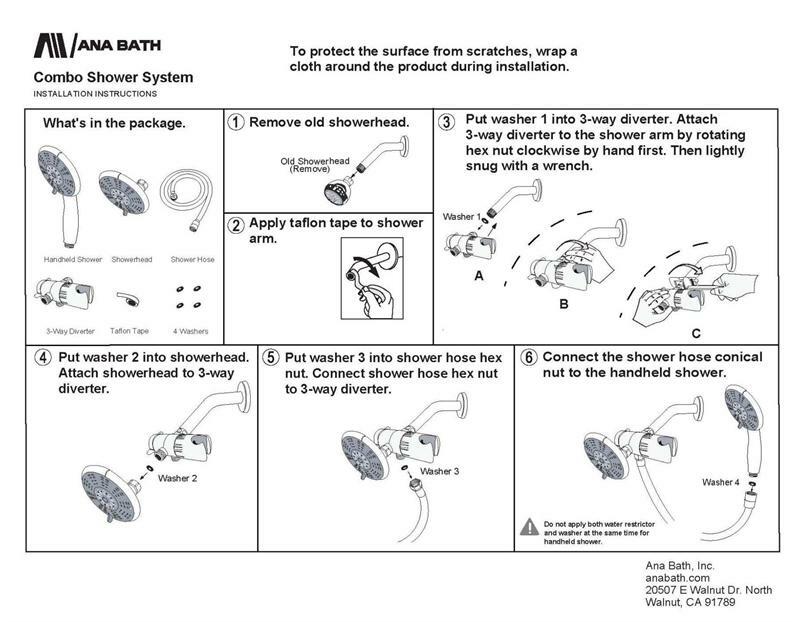 Even a plumber’s tape is included!